UPDATE: Outline for iPad Version 2.6 Available on the App Store! What’s inside the version 2.6? Meet new features! Upgraded to iOS 7? Like it a lot? 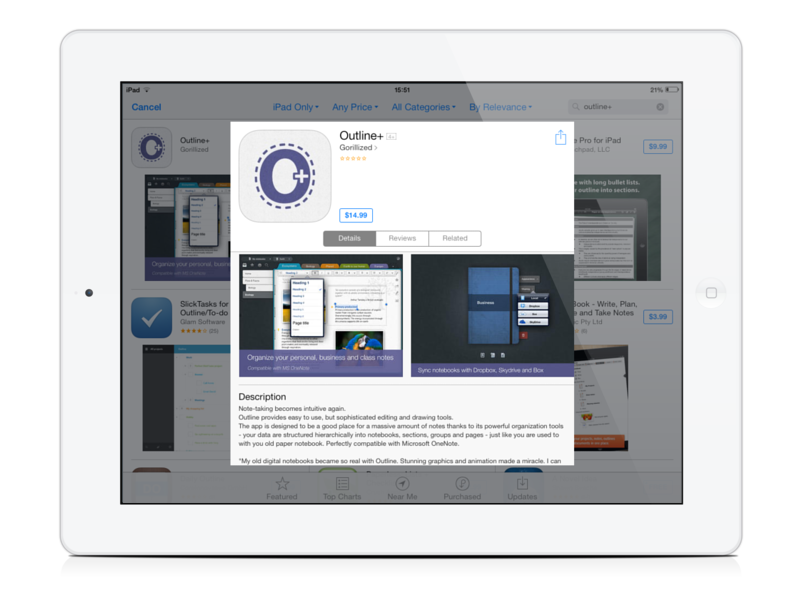 Outline integrates with the new iOS. Enjoy updated Outline on your upgraded iPad. (UI design improvements coming in one of the next updates). Select as much text as you want. Well, select ANYTHING you want. Cut, Copy and Paste content wherever you need! No jokes! See here how it works. Don’t want to unlock OneNote sections with sensitive data? Now you can open password protected OneNote section in Outline. Moreover, you can encrypt sections with Outline itself. One-touch. Try it! Demo video is here. Find OneNote tags convenient? Make them work for you in Outline. Find them on the text editing panel. Beautiful, smooth and responsive inks, new drawing tool – marker. Now you can undo/redo inks creation and deletion. Give this version a try and feel free to share your impressions with us! P.S. : We were going to include SharePoint support into this edition, however, have realized that there are a few more things to be done about it. This sync option will be featured in the version 2.7 – our next release this autumn. Finally! All your business stuff, private info and secret treasures are safe. Outline makes it come true in the upcoming update for iPad. Now it’s up to you what section you want to be password protected. Let’s say part of the notebook can be viewed by all the people you shared it with. The rest of the notebook can require a password to open. Not long ago Microsoft launched its major update of OneNote which is its new version for iPad, iPhone and Android. Now we seem to have a nice company, as prior to us there was no chance to read and edit your OneNote notes on iPad. Truth be told, we don’t mind your placing its icon next to ours. Moreover, now users have a choice, which is always good. When it comes to choosing between the two apps, in fact, we guess that’s not just a choice between two OneNote clients. Rather that’s a choice of ideology, what users want to view on their iPads daily: Windows system brought straight to the AppStore or OneNote notes wrapped in Outline which was initially designed in harmony with iOS ecosystem. IPad version from Microsoft doesn’t correspond to the principles of UI and style of Apple apps: Microsoft style was simply transferred to your Apple iPad without any dramatic changes. Certainly if you like it or not, it’s your choice. Apple launched its annual “Back to School” promotion which greatly motivates college students, their parents and teachers to purchase “iProducts” with quite a fair discount: a $100 gift card for Mac purchase and $50 for either iPad or iPhone. The program is on till September 6 and that’s available from both online and retail stores. So far it is only valid in the following countries: US, UK, Spain, France, Germany, Austria, Switzerland, Norway, Belgium, Canada, Denmark, Finland, Ireland, Italy, Netherlands and Sweden. Truth be told, we can’t deny the future is getting closer with Apple’s innovative ideas. Their approach and diverse solutions are still far beyond our imagination. To some extent, we’re at a crossroads right now: by preserving our current view on education it’s only natural that we’ll linger, while if we are free to such sort of changes we’re quite likely to make a step forward. It’s worth mentioning that a healthy chunk of Outline users are students. They store ideas, take notes of lectures and share priceless notebooks with their peers (in case they skip lectures:) ). In fact, by providing a greater number of students with iDevices, Apple offers a brand new understanding of the magic word EDUCATION: it can be entertaining now! Outline is here to make it even more enjoyable. No more boring note-taking. Now it’s unbelievably simple and genuinely corresponding to your style. P.S. 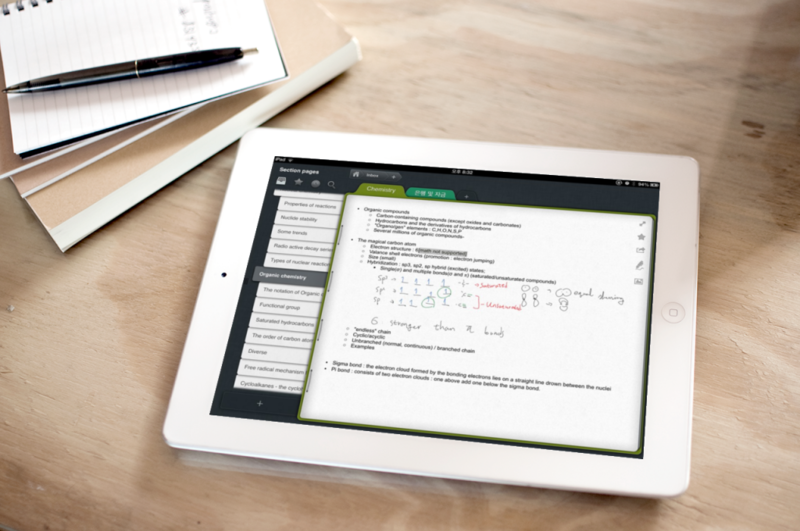 See the related post on our blog: http://outline.ws/blog/do-students-really-use-ipads-for-studying/#more-12 . The picture above is a real life example from one of Outline users. To Select or not to Select? 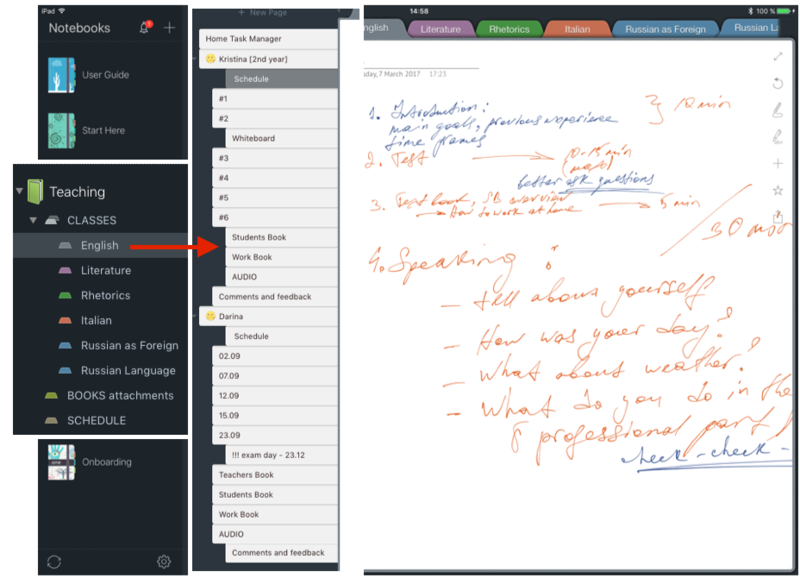 Outline has been always considered as an intuitive note-taking app with its plain interface and flawless originality. From the first moment on it feels like it’s already been familiar for a while. Despite the platform you use (iOS or Mac) it comes effortlessly. The need to select a text is fairly explained by the wish to make the process simpler and less time-consuming. Why should you waste your time and retype the things that have been typed, indeed? Thoughts that you take down are much like a stream which is to swirl but not to linger and here a simple combination copy-paste could be a great deal helpful. We are excited to announce that the most awaited feature has finally arrived. 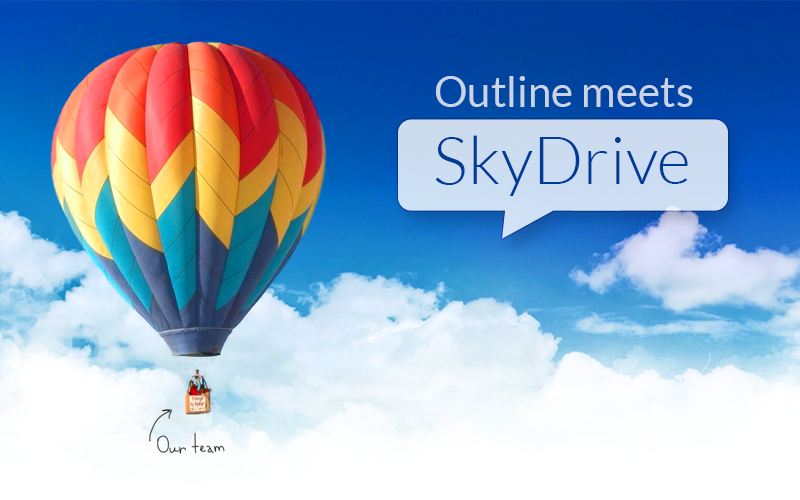 Synchronization with Skydrive is finally supported by our app. You can already download Outline+ for iOS v. 2.5 from the App Store. Version for Mac will get SkyDrive synchronization in the upcoming update (and yes, we are working on Editor☺). 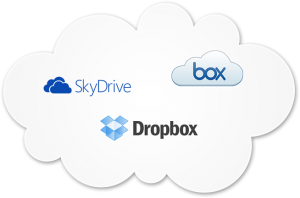 So, how to get started to get your SkyDrive notebooks on iPad? Surface or iPad mini for OneNote? Many people have been waiting for Surface to be the device for their OneNote notes. They expected it (and still expect) to work perfectly with OneNote as an in-field digital notebook for all their note-taking needs. After all, why not: they both are made by Microsoft and OneNote with Metro interface and the radial menu looks sooo nice. OneNote is my favorite tool. Cannot wait for my new surface on Friday. OneNote is hands down my favorite #Office app. Using it on #Surfaceis gonna be sweet! Waiting for my #surface. Where is my shipped email #Microsoft? Can’t wait to #OneNote on the fly! !